We are pleased to now offer the full line of 1700 series rifles with both the GRS Sporter Varmint and Hybrid stock direct from the Custom Shop. We are focusing this year on increasing inventory levels for all models as well as building a few in .22 WMR and .17 Mach 2. In the Custom Shop, each rifle receives epoxy bedded of the receiver with a free-floated barrel, tuned bolt and trigger, extended magazine release, hex-keyed action screws, upgraded bolt handle, and aluminum magazine base. The stocks are finished off with a hard wax buffing. These rifles are new from the factory and carry the full two-year warranty. We will be adding more models to this section soon, offering even more options and features to meet your shooting needs. **Please note that scopes, silencers, and bipods are not included with the rifles. 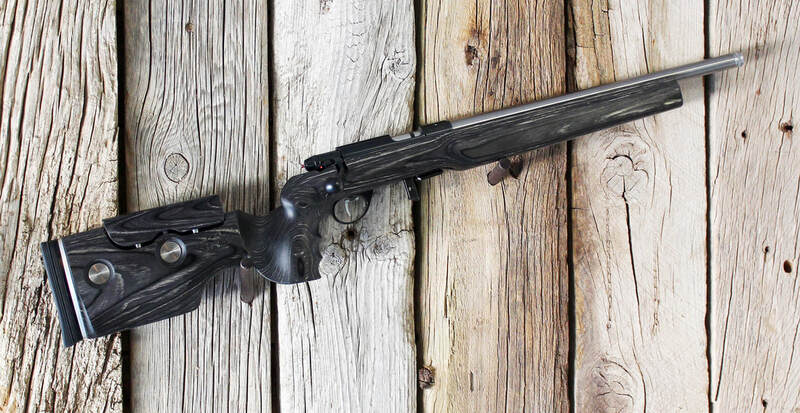 1710 D HB barreled action with GRS Sporter / Varmint stock. 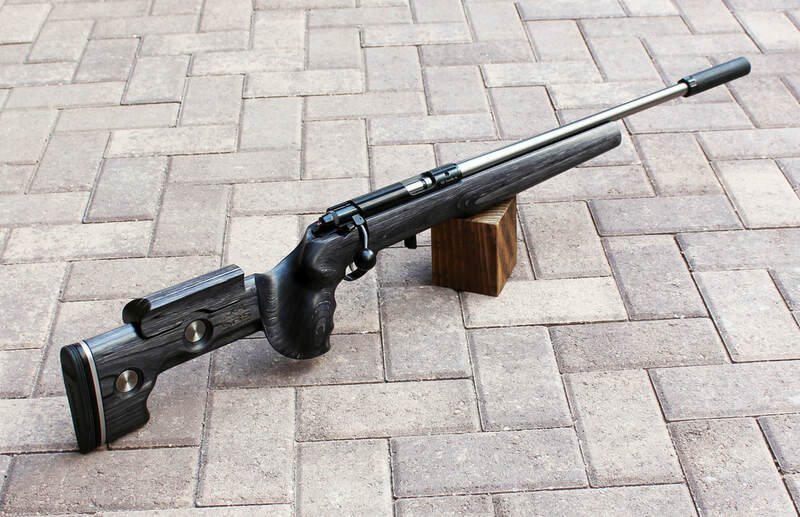 1710 HB barreled action, two-stage 5109/2 trigger with GRS Sporter / Varmint stock. 1710 HB AV Stainless Steel barreled action, two-stage 5109/2 trigger with GRS Sporter / Varmint stock. Barrel Length: 18" stainless heavy barrel, threaded 1/2" x 28 tpi. 1710 HB barreled action, two-stage 5109/2 trigger with GRS Hybrid stock. Weight: 9 lbs 14 oz. 1710 HB Stainless Steel barreled action, two-stage 5109/2 trigger with GRS Hybrid stock. Barrel Length: 23" heavy barrel stainless steel. 1710 HB Super Match barreled action, two-stage 5109/2 trigger with GRS Hybrid stock. Weight: 10 lbs 7 oz. Barrel Length: 23" Super Match 54.30 heavy barrel, tight custom chamber, Cerakoated satin black. Action: 1700 series, Cerakoated action, pinned recoil lug, 5-shot repeating. 1710 HB AV SS barreled action, two-stage 5109/2 trigger with GRS Hybrid stock. Weight: 9 lbs 4 oz. 1712 AV barreled action, two-stage 5109/2 trigger, with GRS Sporter / Varmint stock. 1712 AV stainless steel barreled action, two-stage 5109/2 trigger, with GRS Sporter / Varmint stock. Barrel Length: 18" medium weight stainless steel barrel, threaded 1/2" x 28 tpi. 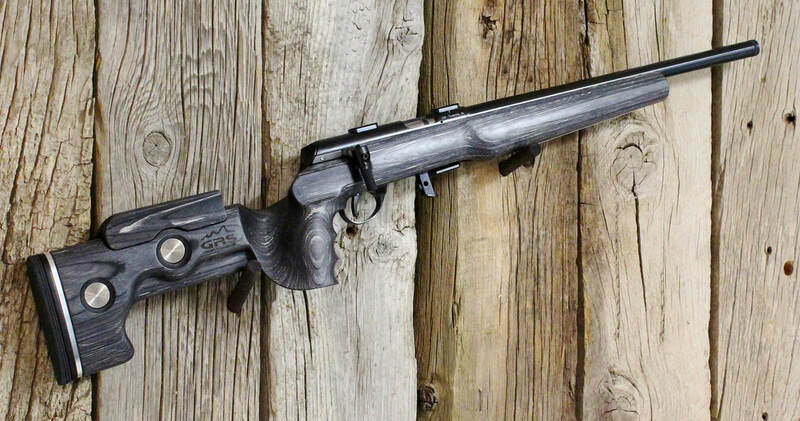 1727-22 HB Straight-Pull Fortner system, 23" heavy barrel, two-stage 5020 match trigger with GRS Sporter / Varmint stock. Action: Match 54 Fortner "Straight Pull" action repeater, satin blued receiver. 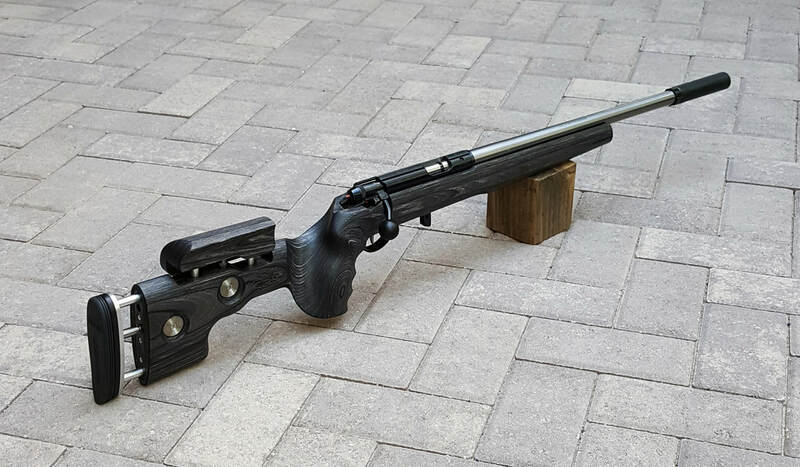 1727-22 HB AV Straight-Pull Fortner system, 18" heavy barrel, two-stage 5020 match trigger with GRS Sporter / Varmint stock. Barrel Length: 18" heavy barrel, blued, threaded 1/2" x 28 tpi.